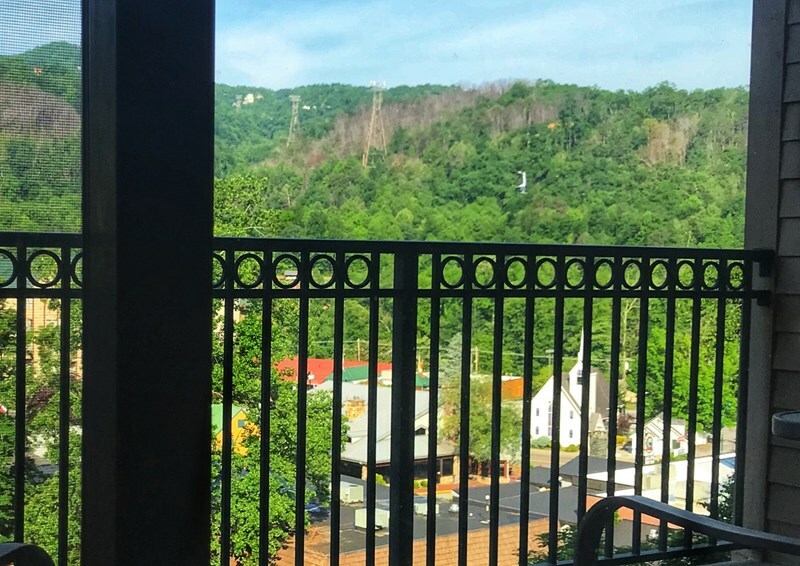 Butler's Beautiful Summit Manor Condo -Updated 2 King Beds 2 Baths, Downtown, View!. 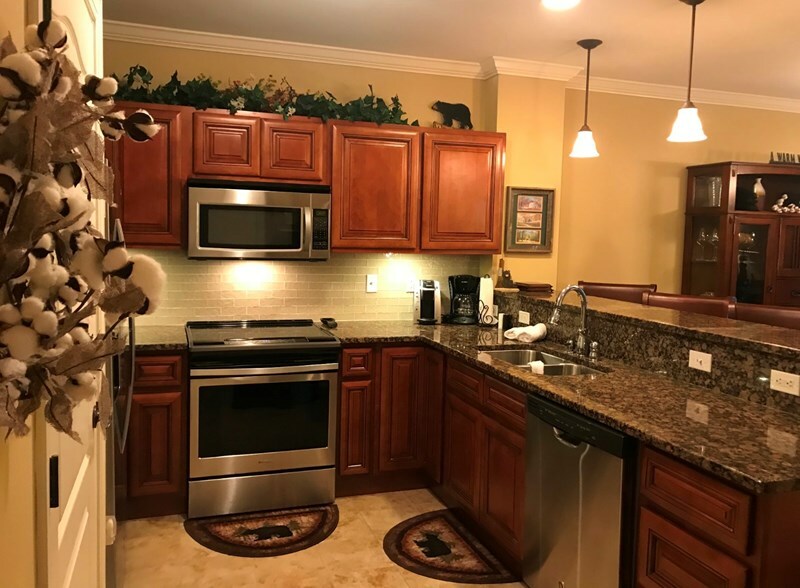 Condo, 2 King Bedrooms, 2 Baths, Non Smokers only. 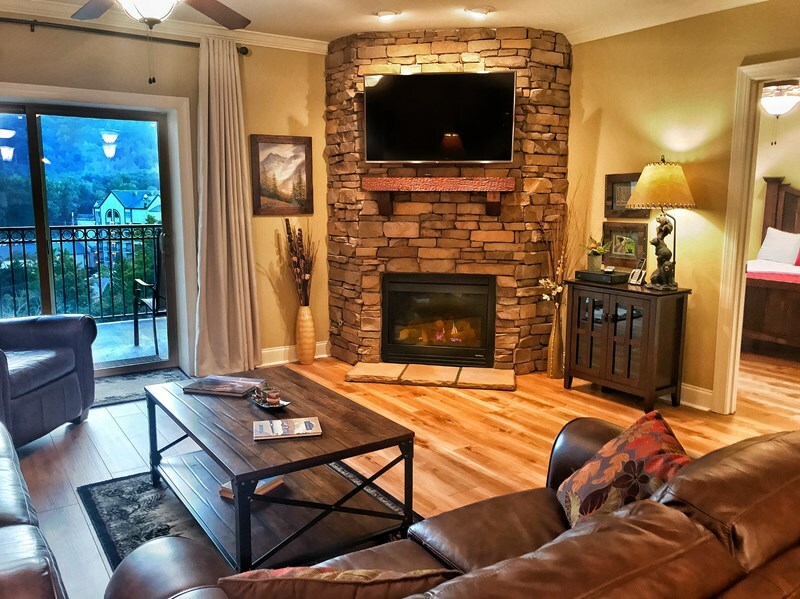 Please accept our invitation to our Newly updated 2 bedroom condo at Summit Manor, downtown Gatlinburg's newest premier upscale condominiums. 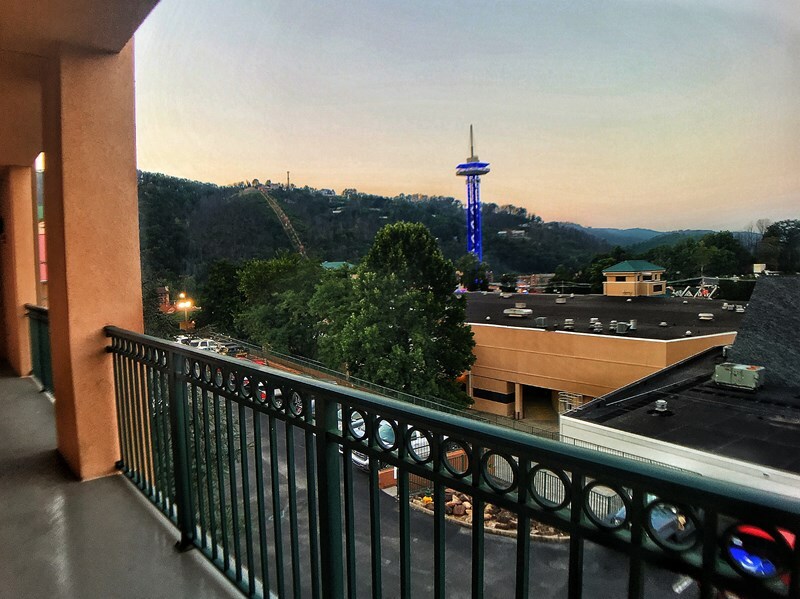 Summit Manor is located across the street from TGI Friday's and the Ober Tram and we have a tower elevator to take you to street level so no hill to climb!!! 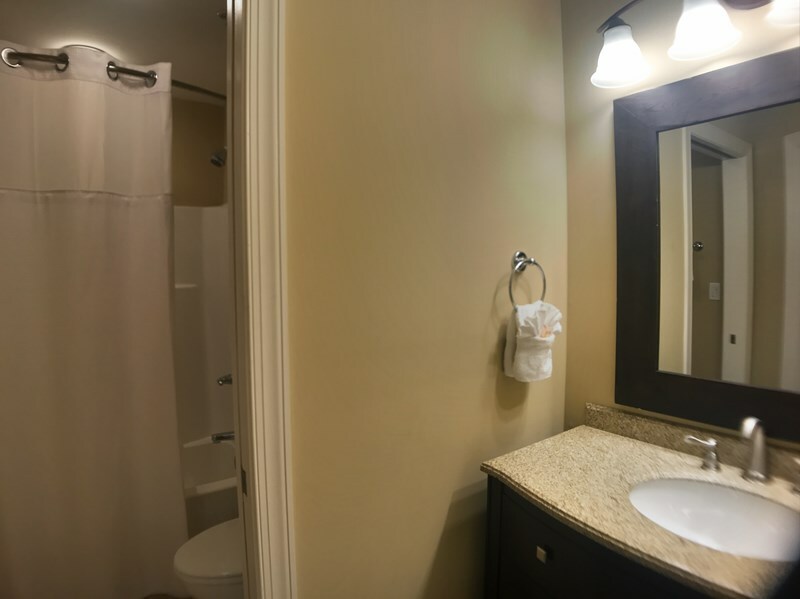 You are an easy walking distance to great restaurants, shopping and attractions! Our unit is located on the 3rd floor. 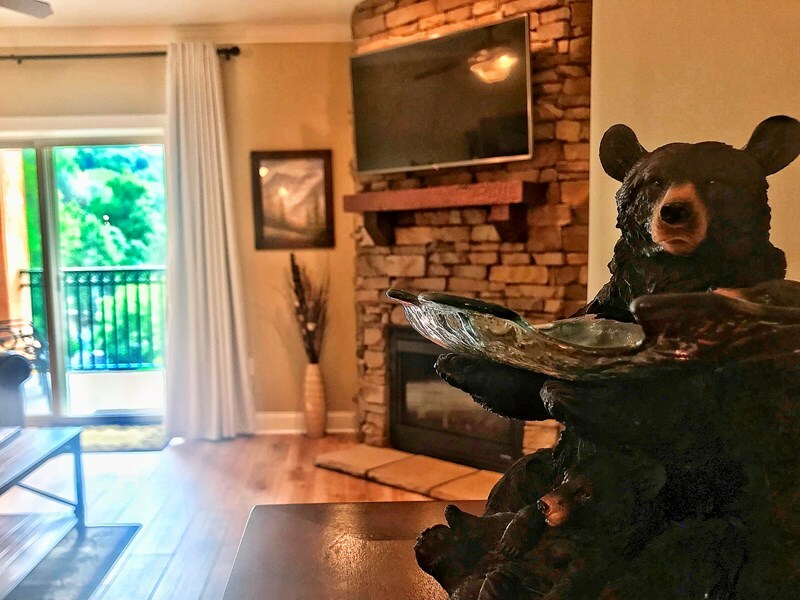 The living room offers a leather sleeper sofa (sleeper for children only), loveseat and recliner, a flat panel HDTV with Spectrum cable, a cozy gas stone fireplace and a beautiful view from the sliding glass doors. 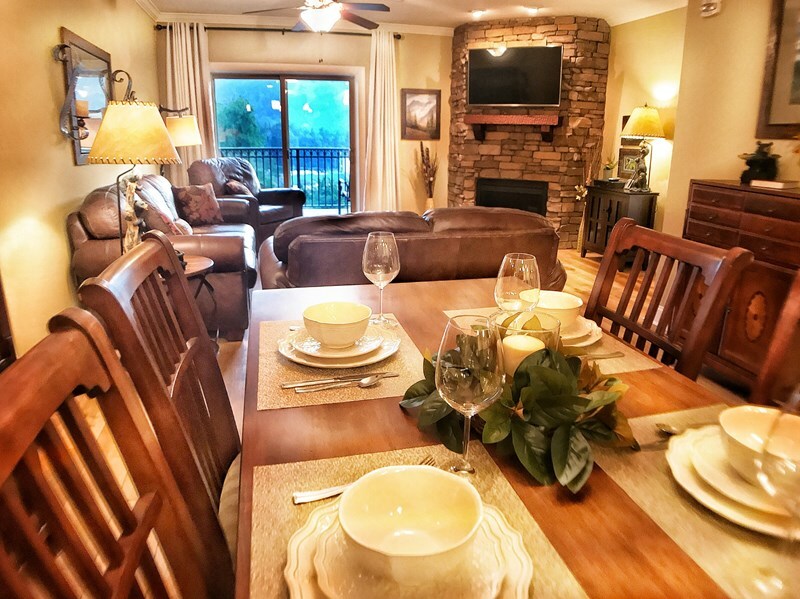 The large balcony outside the living area has a table and 4 high back chairs for dining or relaxing. 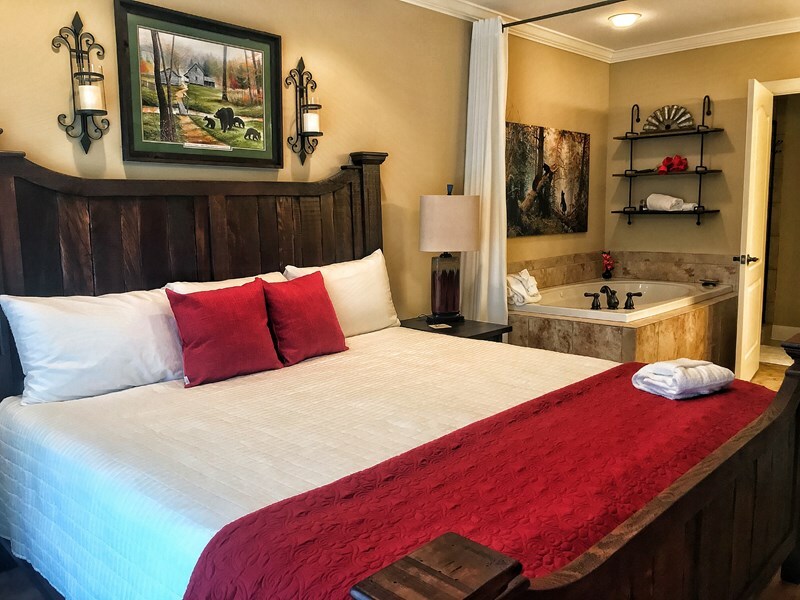 The master bedroom features a New King Size Memory Foam bed with dual side nightstands with usb ports & lamps and a flat panel TV. 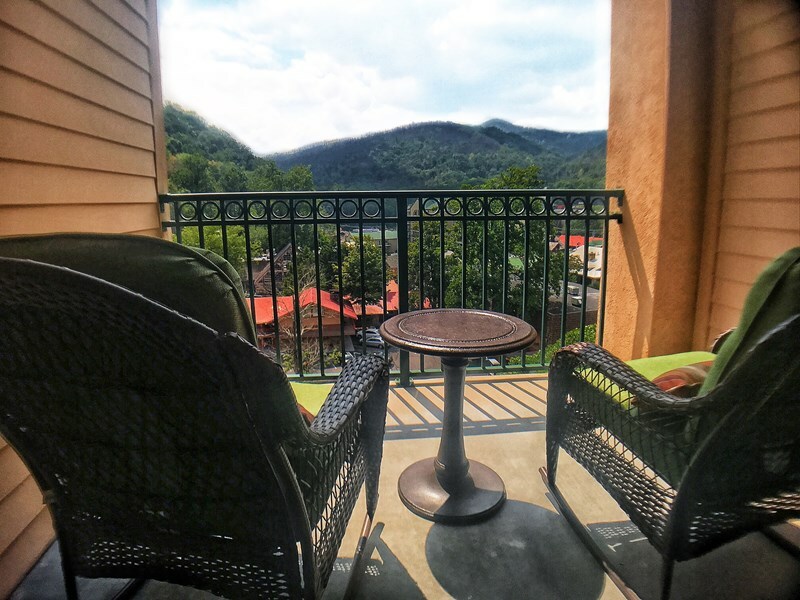 Step out on your private balcony and relax in the rockers while you enjoy the beautiful view of the Smoky Mountains. 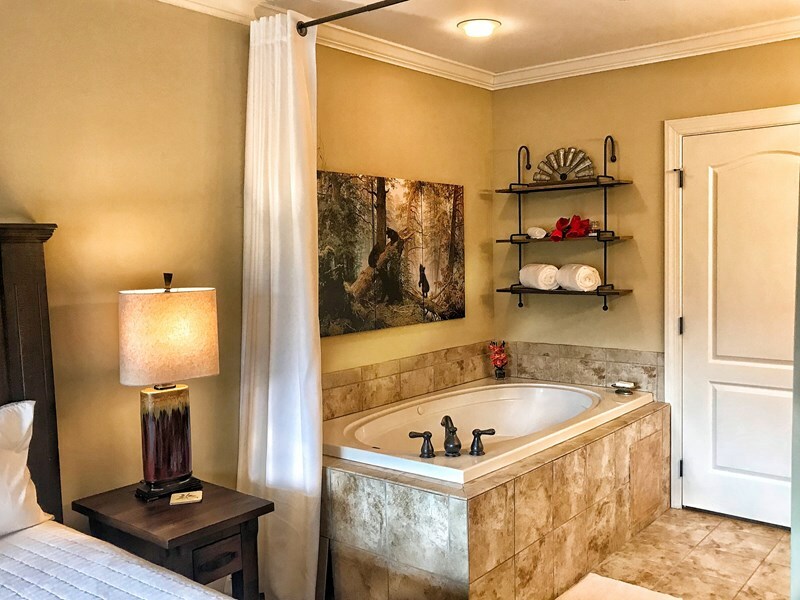 The en suite master bath features a large shower, double vanity and a Jacuzzi tub. 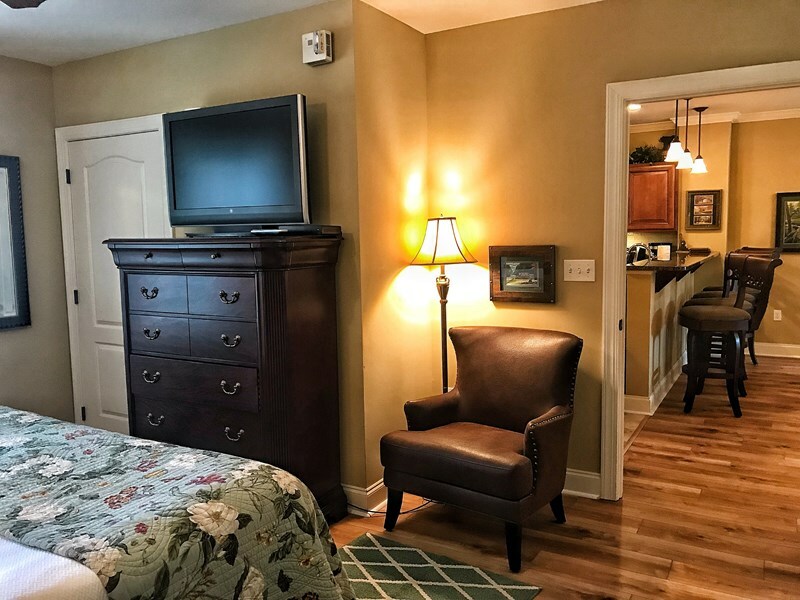 The guest bedroom features a King Size bed with dual side nightstands, a flat panel TV and a new chair for reading. 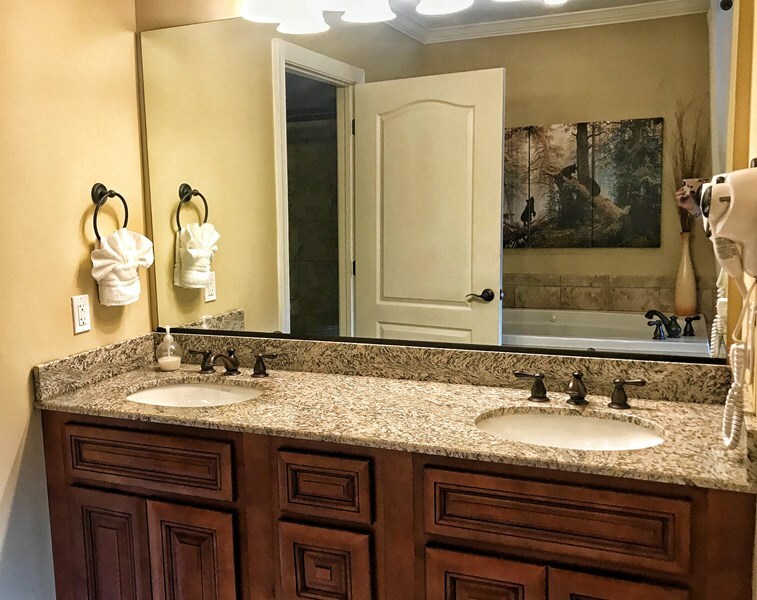 The guest bath features a tub/shower combo and a new vanity. 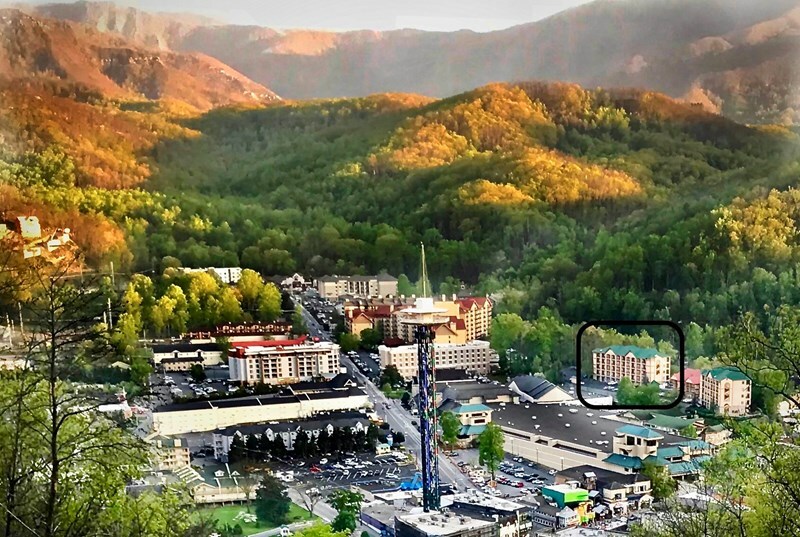 • Beautiful View of downtown and the mountains! 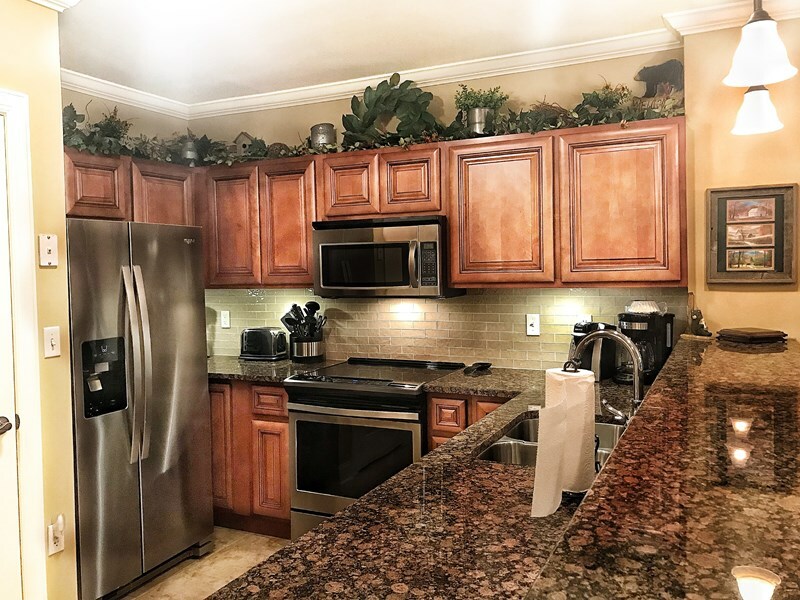 The Fully Furnished Kitchen features a side-by-side refrigerator equipped with water and ice in door, dishwasher, oven with smooth top range, and a built in microwave. 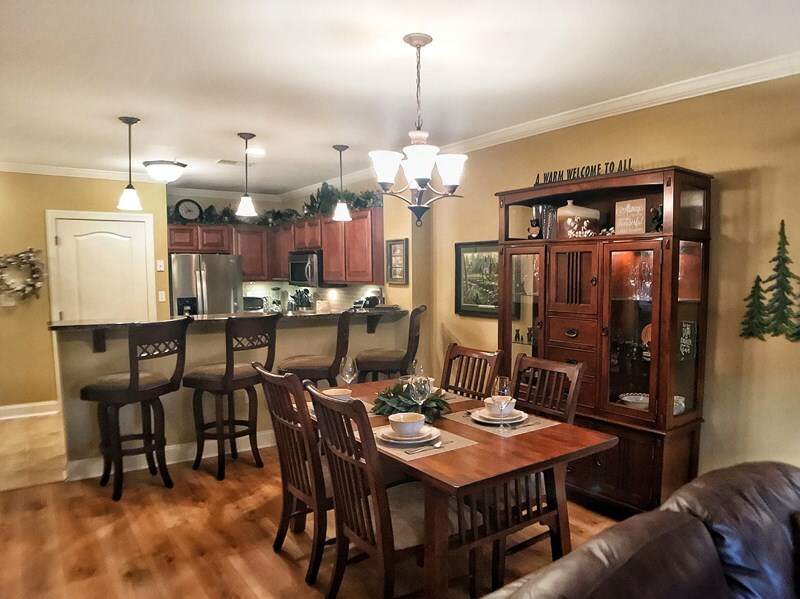 The kitchen also features a Mr. Coffee and Keurig coffee maker, toaster, blender, crock pot and a garbage disposal. 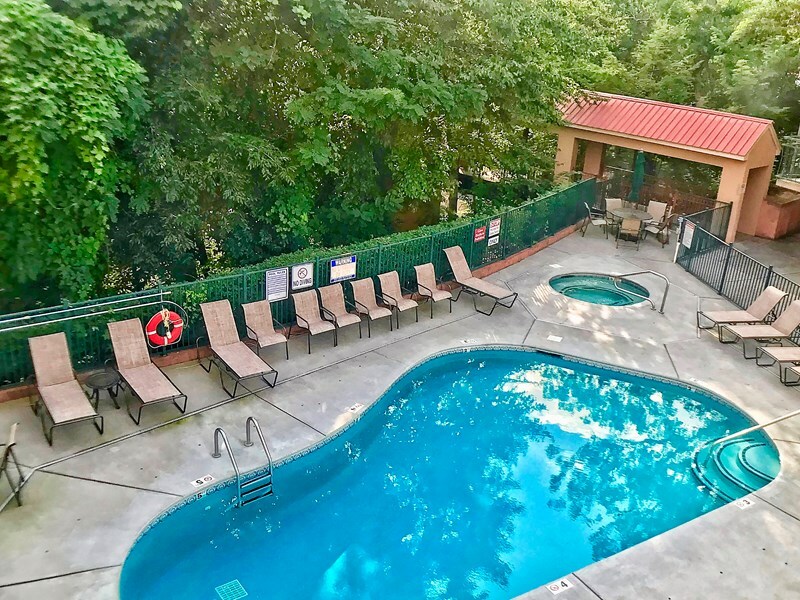 Summit Manor is located right across the street from TGI Friday's and above Calhoun Village. 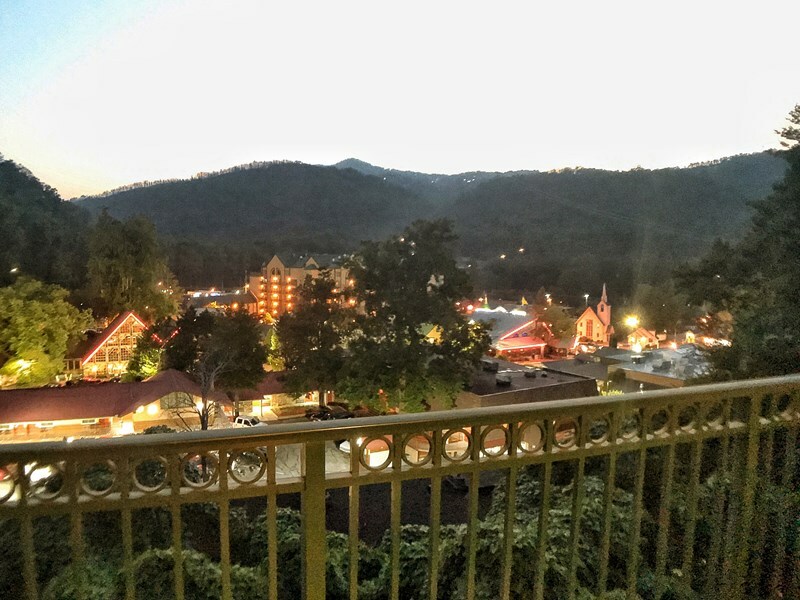 The Best location in Downtown Gatlinburg! 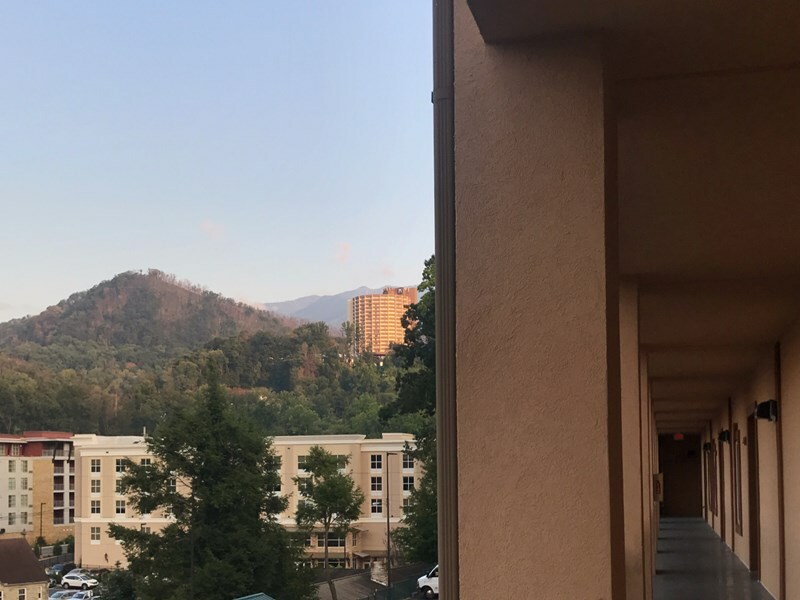 Simply take the tower elevator beside the pool and you will be on street level ready to enjoy all the wonderful restaurants and shops of downtown Gatlinburg. We are only half a block away from the Convention Center. 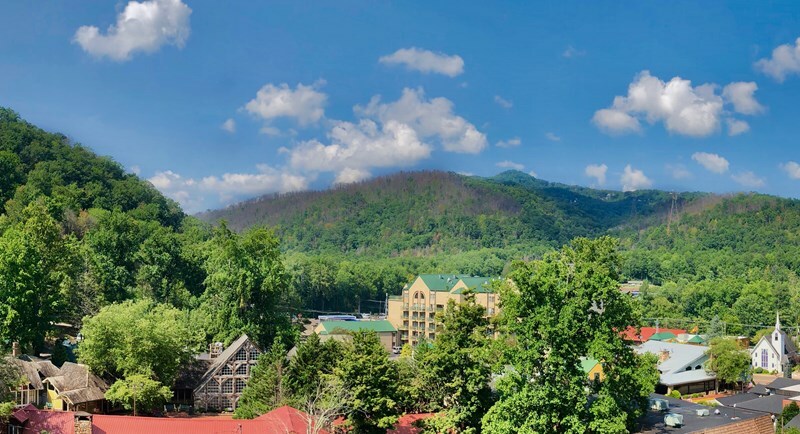 RESERVATION CANCELLATIONS: A 60 days notice is required for cancellation. Cancellations that are made more than 60 days prior to the arrival date will incur a $75 administration fee. 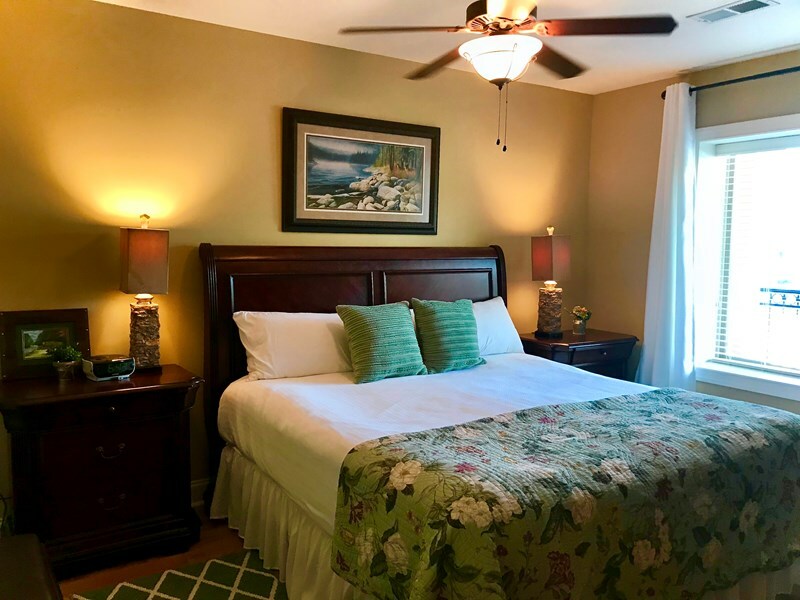 The VRBO/HA service fee will not be refunded and it is not my fee. 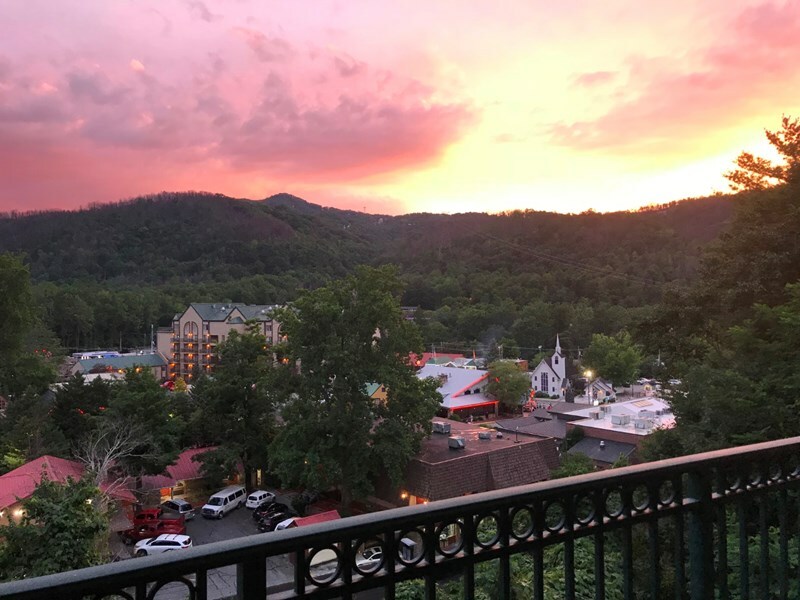 Cancellations or changes that result in a shortened stay that are made within 60 days of the arrival date forfeit all monies. 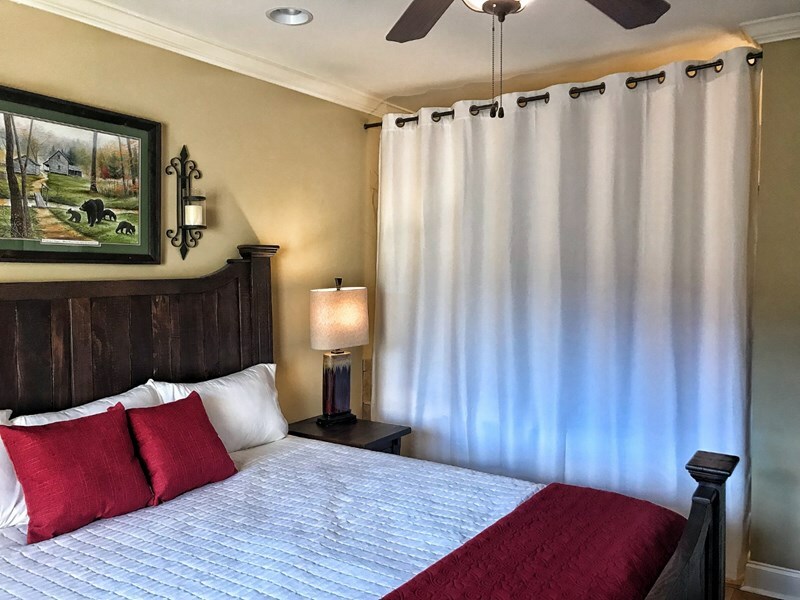 Cancellation or early departure does not warrant any refund of rent or deposit. 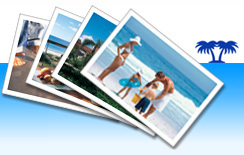 We STRONGLY suggest travel insurance in case something unexpected happens. 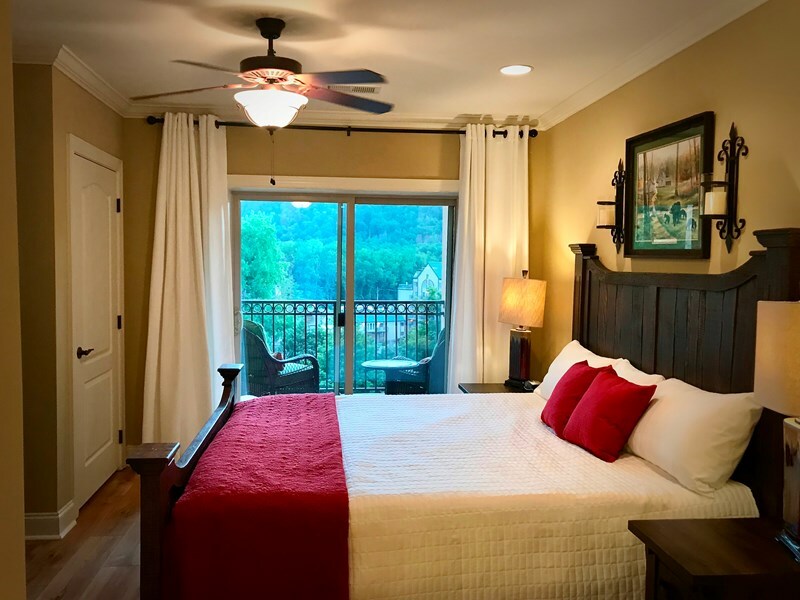 Amusement Park Bird Watching Bowling Golf Hiking Horseback Riding Minature Golf Restaurants Shopping Snow Skiing Swimming Walking Trails Water Park Wildlife Viewing Wonderful downtown location!